What started as a day with limited potential for severe thunderstorms due to a strong cap and weak mid-level winds ended up with a nice supercell near Beatrice, Nebraska. 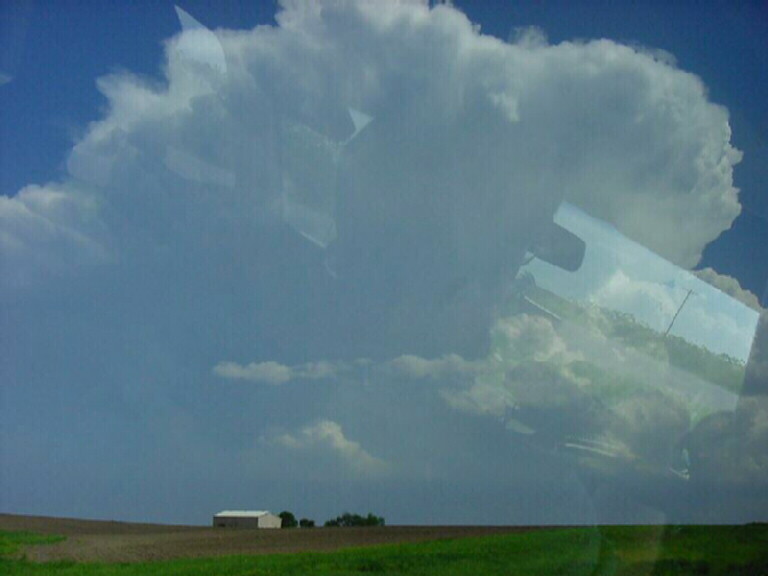 As we approached York, a strong updraft exploded to our south. 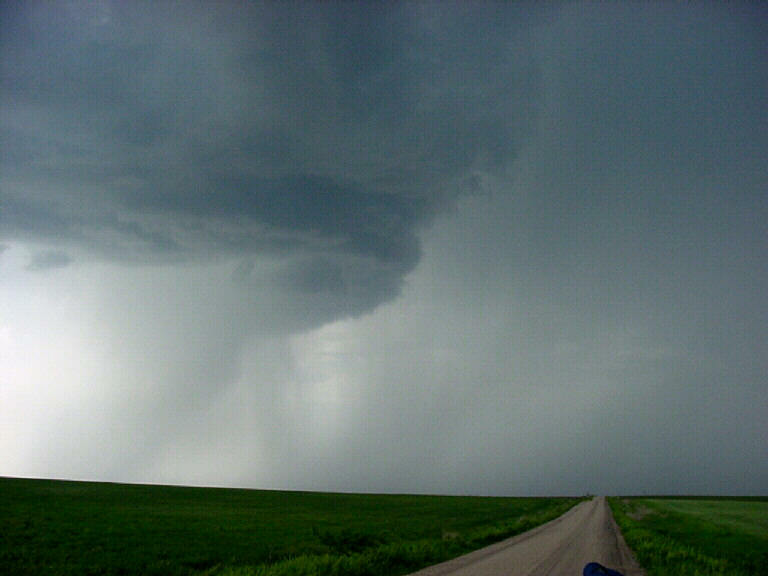 Maneuvering around to the southeast flank of the storm, we got under the rain free base which we found to be very high, though it did show definite signs of rotation. 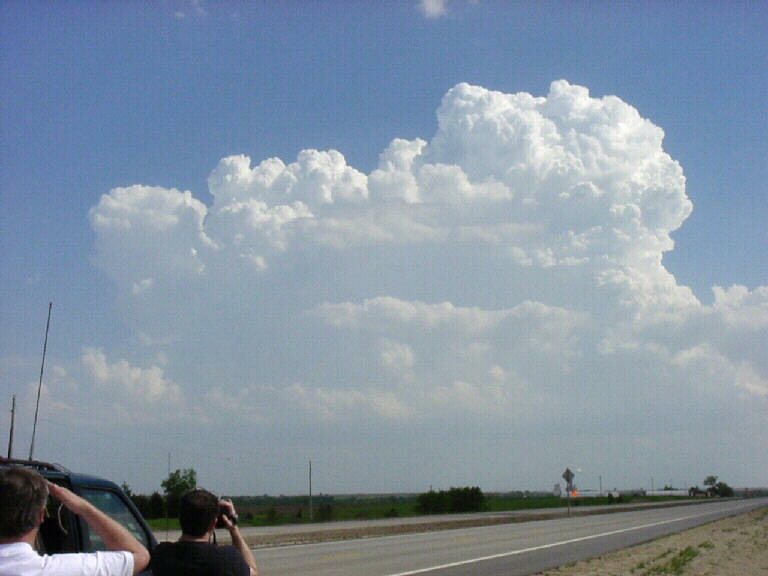 After playing with the hail briefly, we followed the storm to the east and dropped to the south to pick up another updraft that had developed on the west flank of the storm. 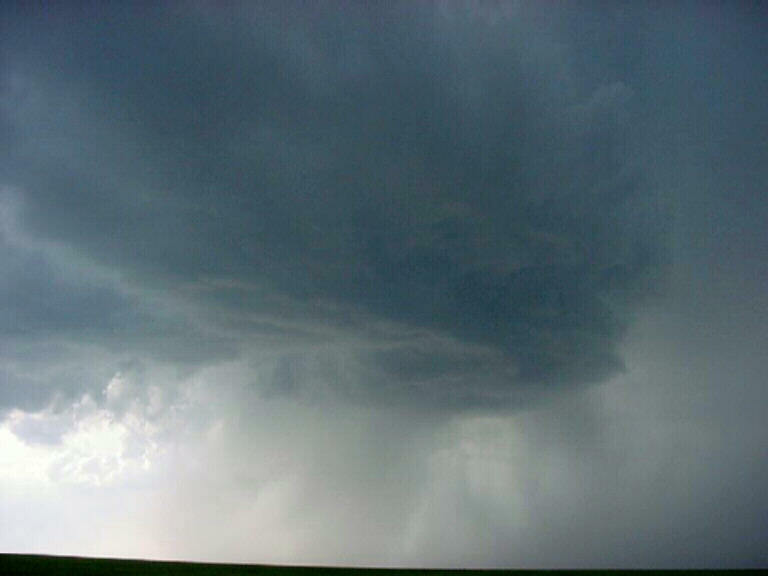 This updraft produced a collar shaped wall cloud with a clear RFD notch. 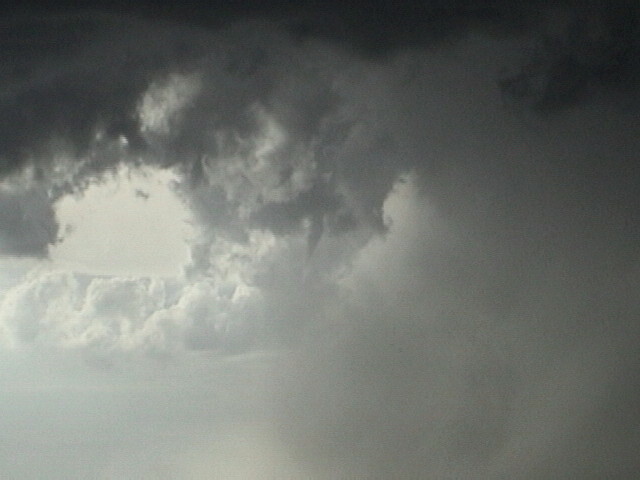 This storm produced an interesting mid-level funnel that roped out in mid-air, but if it produced anything on the ground, we weren't able to tell as rain was falling through the updraft. 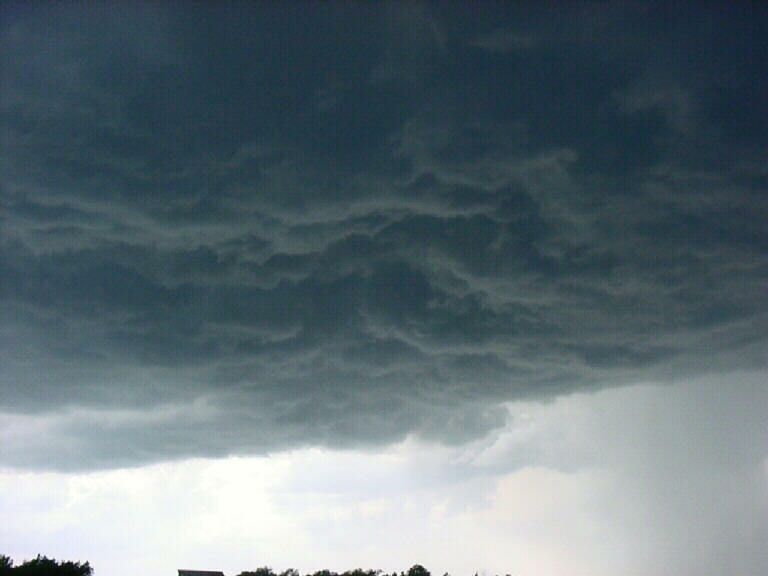 Shortly thereafter the updraft rapidly collapsed. Convective initiation explodes to our south. Knife-edged anvil. 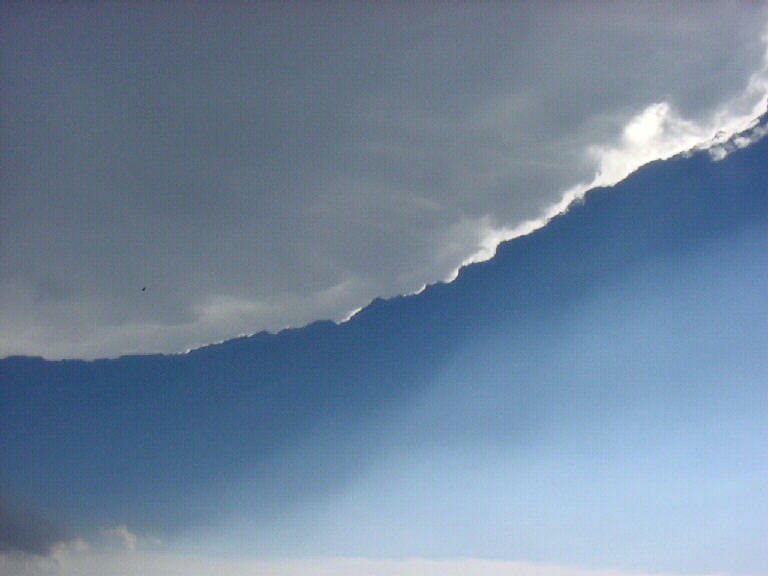 A look at the back of the updraft and anvil. 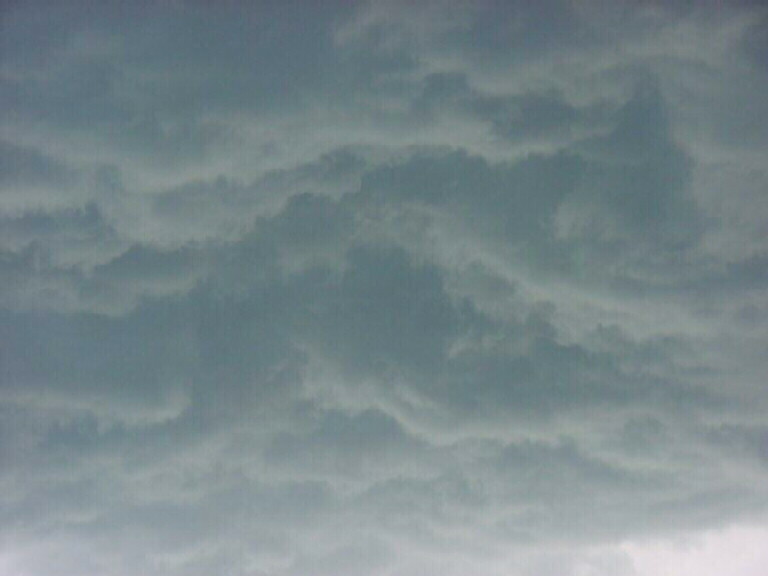 The rain free base shows signs of rotation, but it's too high based. 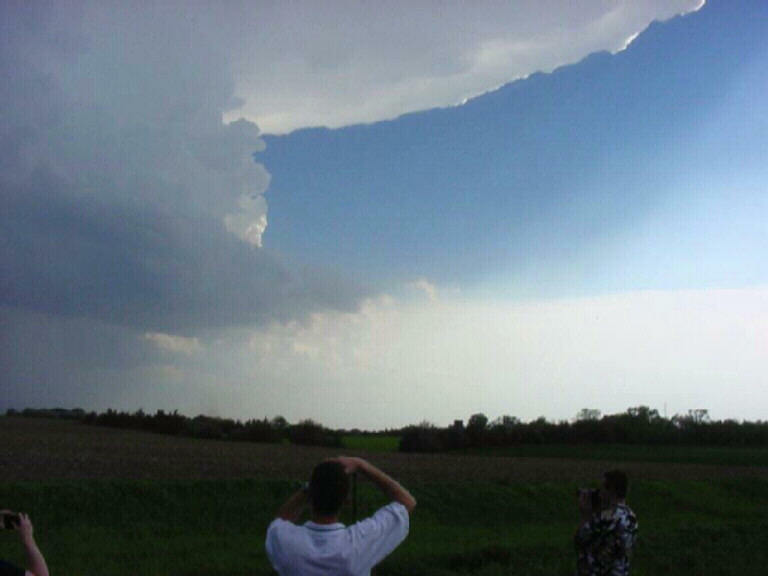 A second updraft produces this large collar shaped wall cloud. 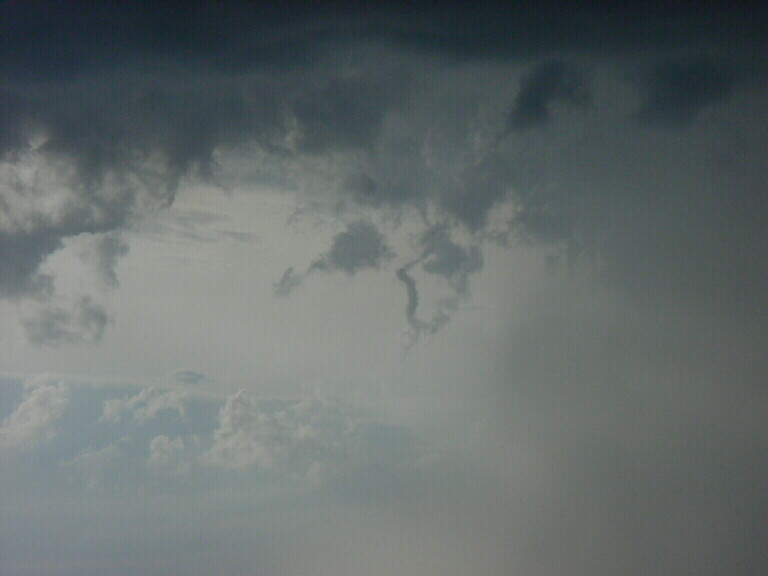 A mid-level funnel appears... Then ropes out in mid-air! 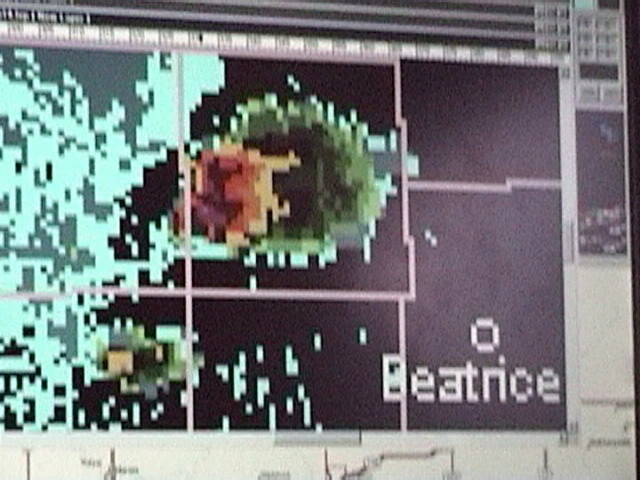 `The storm on radar. 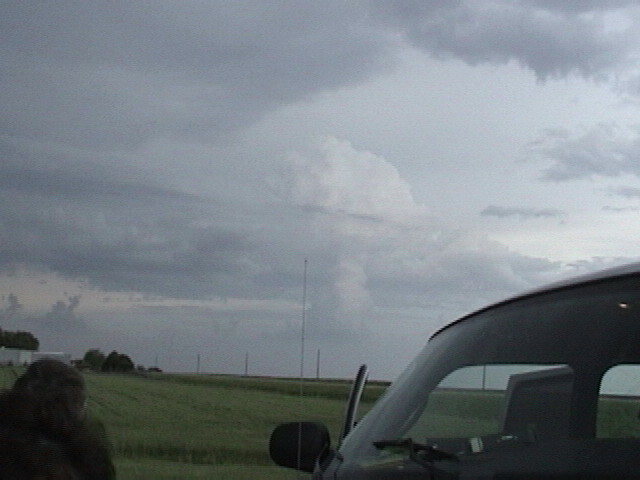 Bizarre mushroom looking updraft southeast of our storm.